Stirling Astronomical Society meets from September to May during the year. Lectures are held generally on the second Friday in each month during that period, beginning at 7.30 p.m. The venue is the lecture room of the Smith Museum and Art Gallery, Dumbarton Road, Stirling. These meetings are free and anyone with an interest in astronomy is welcome to attend, whether a Member of the Society or not. Stirling Astronomical Society holds informal Members' Evenings on the last Friday of each month, from October to May, . These take place at the Mayfield Community Centre, St. Ninians, Stirling, from 7.30 to 9.30 p.m. The Stirling Astronomical Society regularly runs a series of Evening Classes in Stirling. These are open to anyone over 11 years old with an interest in Astronomy and topics vary in each course. Classes run once a month on Thursday evenings at the Highland Hotel, 7:00 to 9:00pm. If you would like to take part, please contact us for further details. A map giving directions to the Stirling Highland Hotel can be found here . Smith Museum and Art Gallery, Dumbarton Road, Stirling. 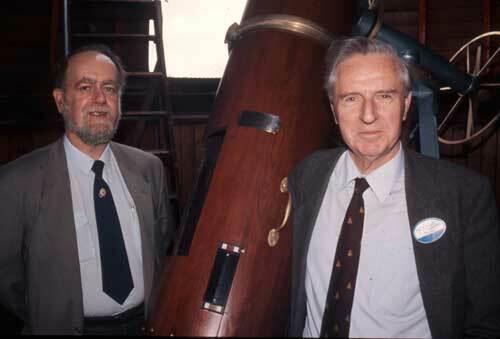 In 2005, The Astronomer Royal for Scotland lectured at The Stirling Astronomical Society.